Clubs determine who will carry their votes (proxies) to District conference. Invites YOU to COME to the DISTRICT 83 ANNUAL CONFERENCE! May 4th and May 5, 2019! The Traveling Gavel is currently at Gateway 2 Club. Captured on October 10th 2018. Here are the rules if you would like to capture the gavel for your club. 2. 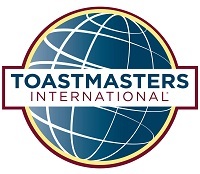 Get three members of your club to attend the meeting of the club that currenly has the gavel. 3. Particpate in the meeting. 5.Proudly display gavel at your meeting.